Price on per Kg basis. Bikaner Barfi at Taj Indian sweets and restaurant in Australia is made from quality ingredients like khoya and sugar which is an all time favourite of many families for its refreshing taste. If the goodness of melt-in-mouth sweets is what you are looking for this Diwali then our Pure Indian Sweets at Taj Indian sweets and Restaurant in Harris Park, Australia is the pick out of the lot! Bikaner Barfi at Taj Indian sweets and restaurant in Australia is made from quality ingredients like khoya and sugar which is an all time favourite of many families for its refreshing taste. 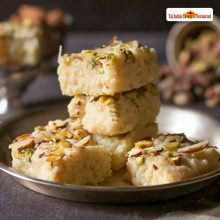 If the goodness of melt-in-mouth sweets is what you are looking for this Diwali then our Pure Indian Sweets Bikaner Barfi in Harris Park at Taj Indian sweets and Restaurant in Harris Park, Australia is the pick out of the lot! Bikaner’s Burfi is one of our most popular products at Taj Indian sweets and Restaurant in Sydney, Australia. It contains less sugar then traditional fudge and a soft texture that just melts in your mouth. 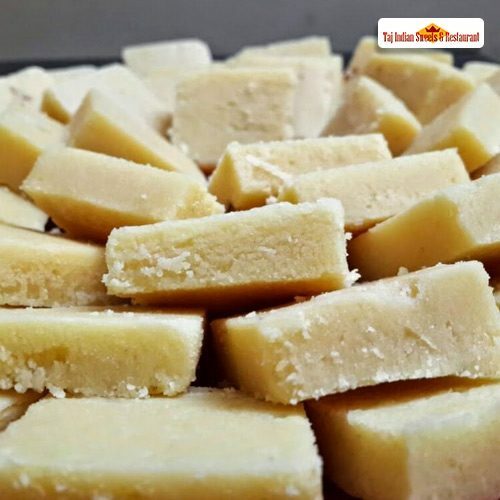 With thorough expertise and understanding of this industry, we are enormously involved in offering a quality assured range of Bikaner Burfi and other Pure Indian Sweets in Australia. 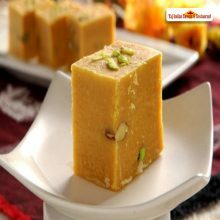 Being one of the renowned firms in the industry, we are decidedly involved in providing a high-quality array of Bikaneri Barfi. It is Safely packed, Hygienically prepared with Tempting Indian Flavours of all Indian Sweets in sydney, Australia. We are serving Pure and Best of Indian sweets in Taj Indian Restaurants, Harris Park, Australia we believe that customer satisfaction is as important as their products and services, have assisted establishment to garner a vast base of customers with our mouth-watering flavors, which continues to grow by the day. 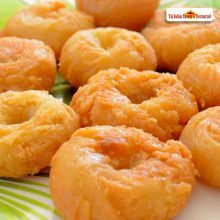 We employee individuals that are committed towards their respective roles and put in a lot of effort to bake the most exotic and tempting Indian sweets in Australia. Used to serve in parties, festivals, etc. The delivery of the product depends upon the location on which the delivery is requested. For more information, please contact us via phone. Balu shahi is considered as the Indian Donut which is soft, flaky deep-fried pastries dunked in a sticky cardamom and rose flavored syrup. The festival of lights “Diwali” is around the corner let us celebrate it with your favourite Indian sweets Balu Shahi in Harris Park, Sydney, Australia at Taj Indian sweets and Restaurant . Taj Indian Sweets and Restaurant in Harris Park, Australia, brings to you the Finest Boondi Laddoo. 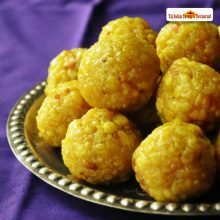 This laddoo is made with the minute pieces of boondi that are drops of gram flour batter, which are deeply fried and then dipped in sugar syrup. Kalakand is one of the most popular Indian sweet that is made out of solidified, sweetened milk and paneer. Diwali season is around! Come and explore our delicious Kalakand in Harris Park, Australia at Taj Indian sweets and restaurant.